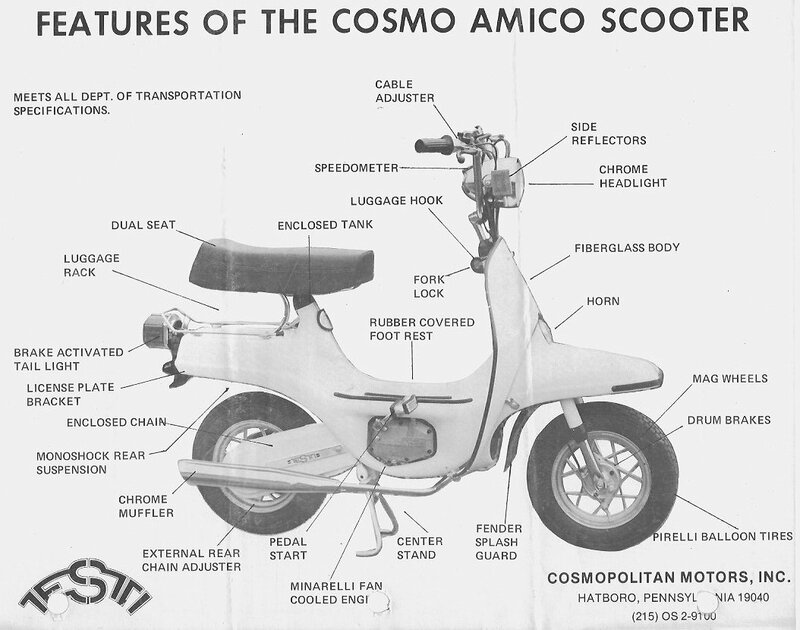 Cosmo is the trade name of Cosmopolitan Motors, formerly in Hatboro Pennsylvania USA. 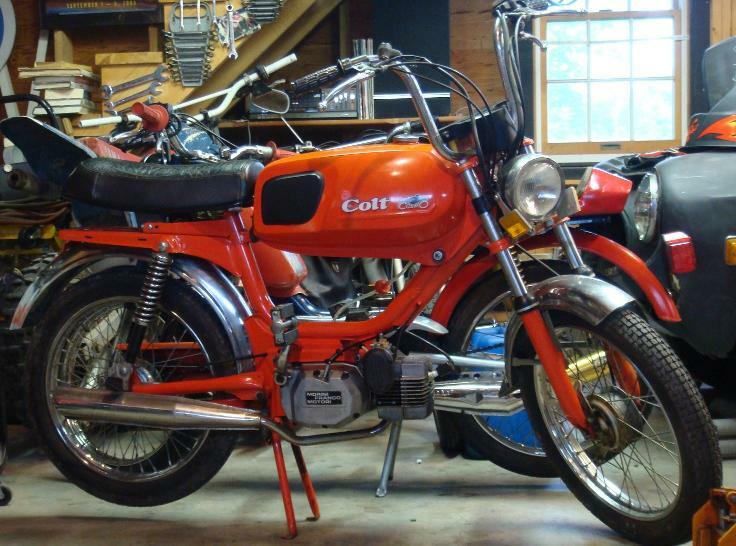 In the 1950’s they were the US importer of Jawa CZ. 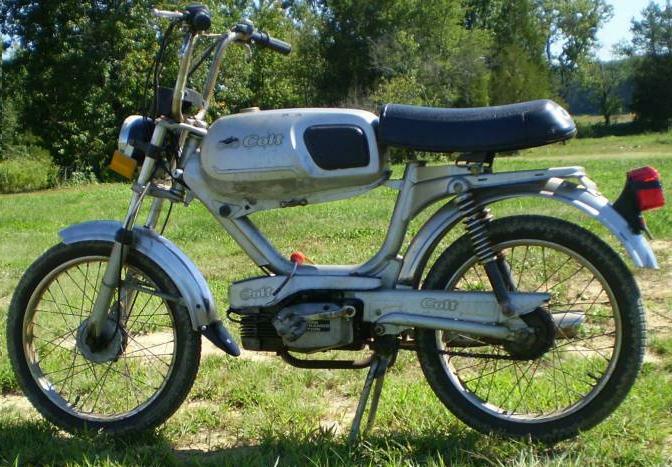 In the 1960’s, 70’s, and 80’s they were the US importer of Parilla, Capriolo, MV Agusta, Bimota, Benelli, Bianchi, Montesa, Garelli, and Beta motorcycles. 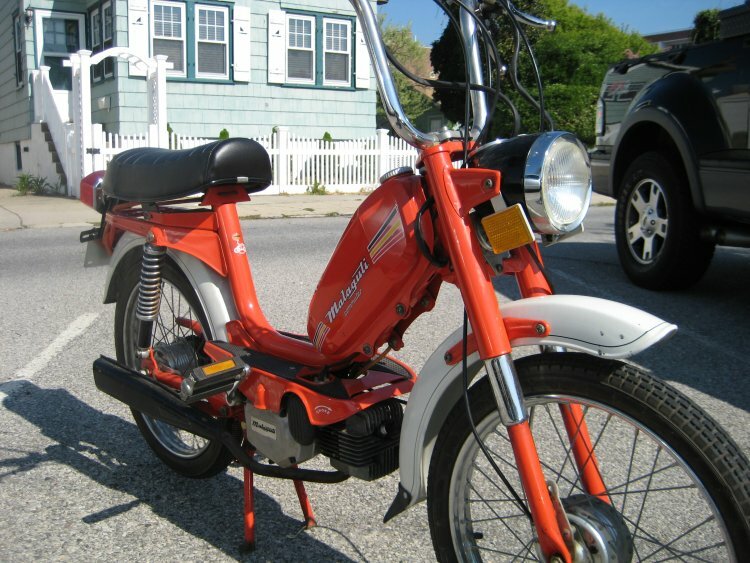 In the 1990’s they were the US importer of Kinetic mopeds, made in India. Some of their current products are electric bicycles. Visit their website at http://www.cosmotor.com/. 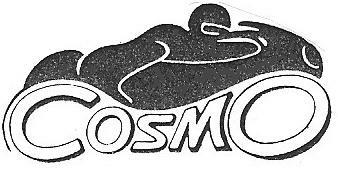 Cosmo also distributed Italian motorcycle parts and accessories, Pirelli, Tommaselli, AGV, Sidi, Grimeca, Domino, Regina, Dellorto, Marzocchi, Costa, Baruffaldi, etc. 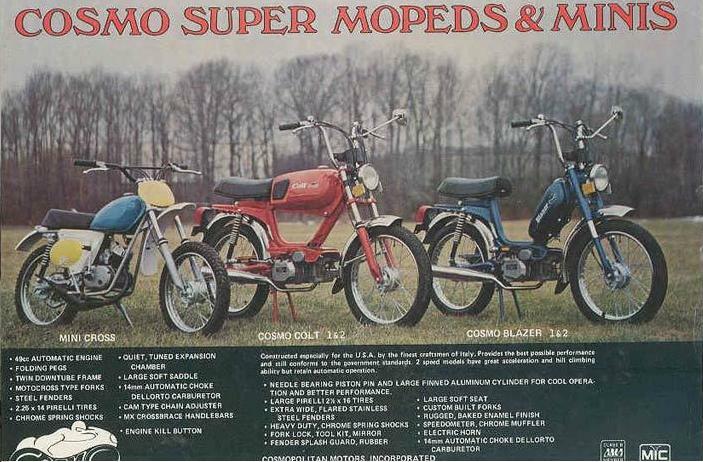 and their own line of mopeds and mini-cycles. 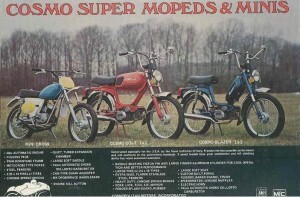 These were top-tank (Colt) and step-thru (Blazer) mopeds with Morini MO-1 or MO-2 engines. The Cosmo Colt 1 chassis is the same as a Baretta Magnum. The Cosmo Blazer is the same as a Malaguti Commuter. The chassis is the same as a Baretta 38. They are all made by Piccoli Motori in Bologna, Italy. See below. 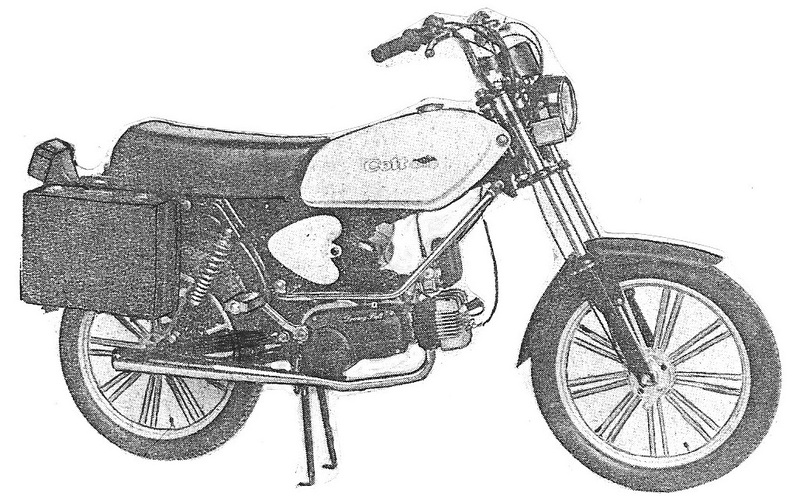 These were top-tank tube-frame mopeds with Morini M-1 or M-101 engines. 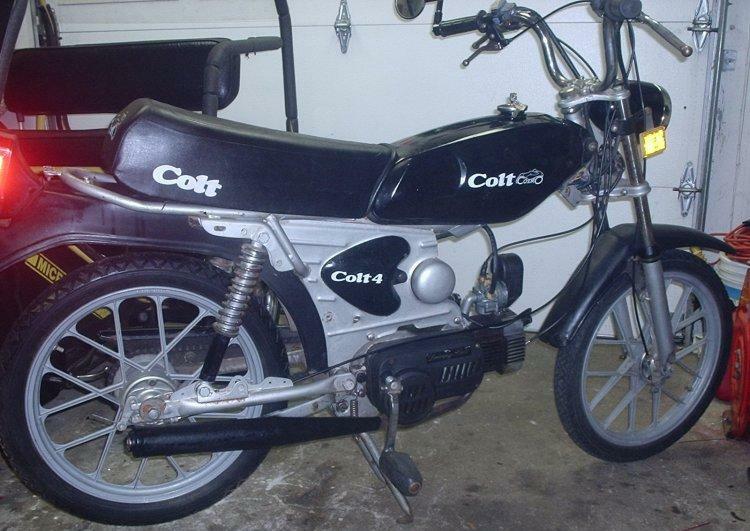 The 1980 Cosmo Colt 3 is the same as a 1978 Malaguti Pilot. They are both made by Malaguti in San Lazzaro di Savena, Italy. See below. 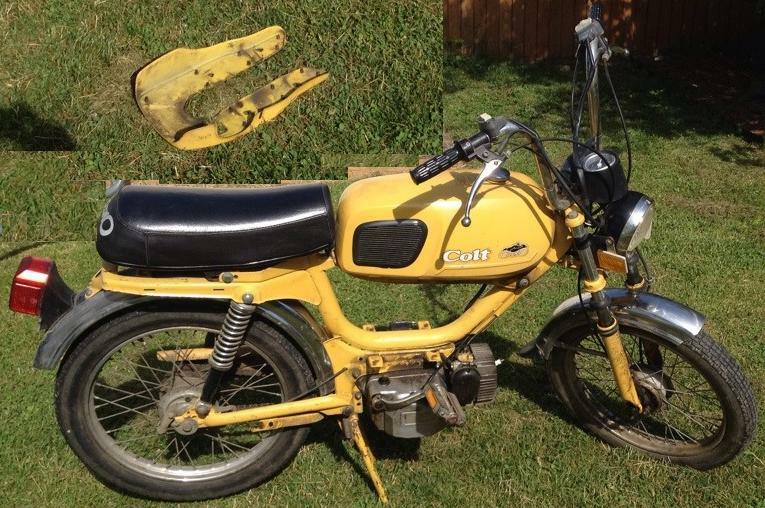 This was a top-tank moped with Sachs 505 oil injected engine. The Cosmo Colt 5 chassis is the same as a Baretta Magnum. They are both made by Piccoli Motori in Bologna, Italy. See below. 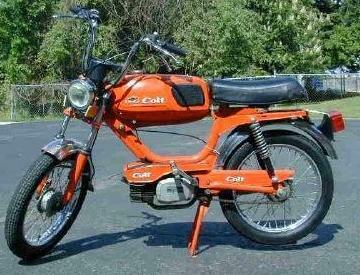 This was a scooter-like pedal moped, with a Minarelli V1 engine. It had small tires and a fully enclosed body like a scooter. 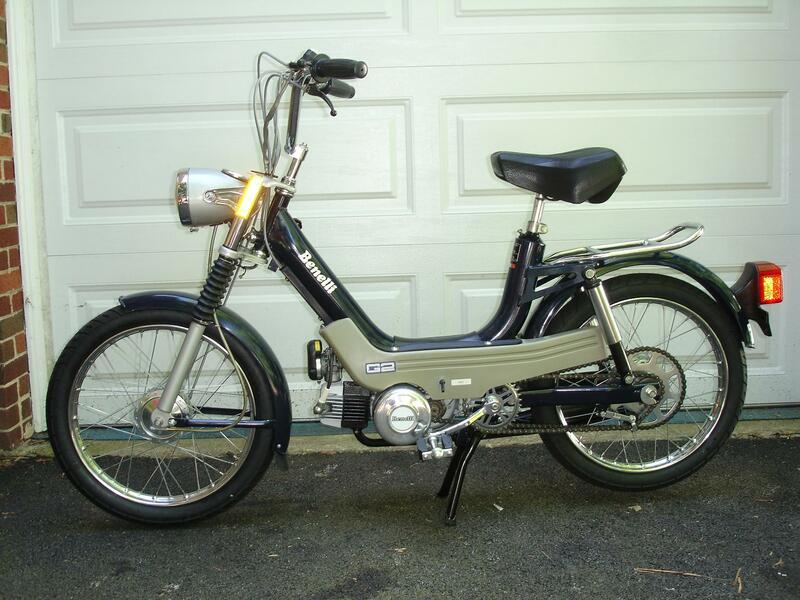 It is the same as 1970’s Testi Amigo (Euro model) except for lights. See below. 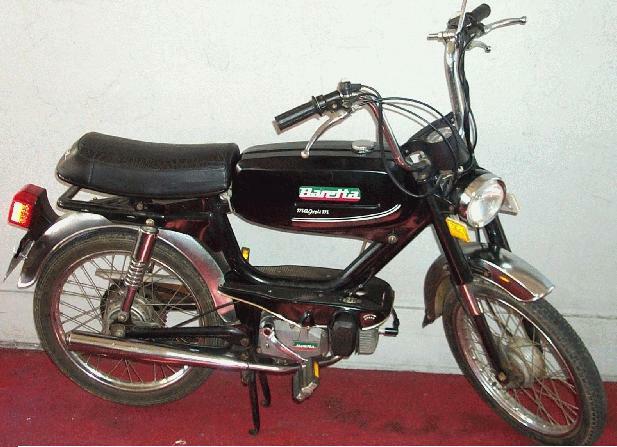 This was a top tank pedal moped, with a Garelli remake engine, made in India by Monto Motors. 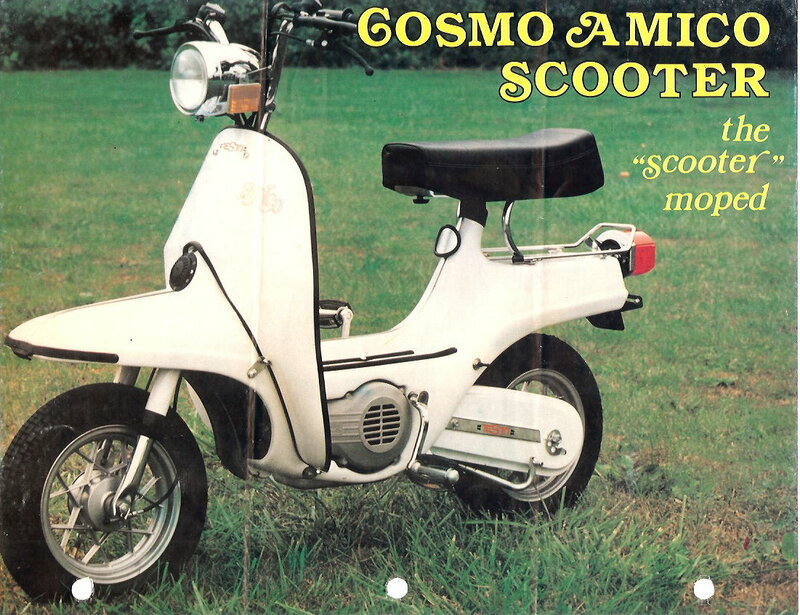 The Cosmo Stinger is the same as an Avanti Supersport, both with a Garelli 2-speed remake engine, 35mph. See Avanti. 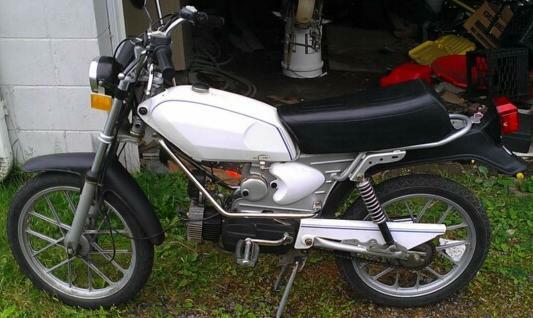 Cosmo Mini cross Morini S5K2 Piccoli? 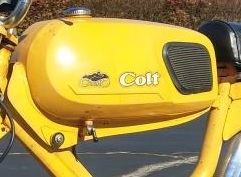 Colt was top tank frame, Blazer was step-thru. 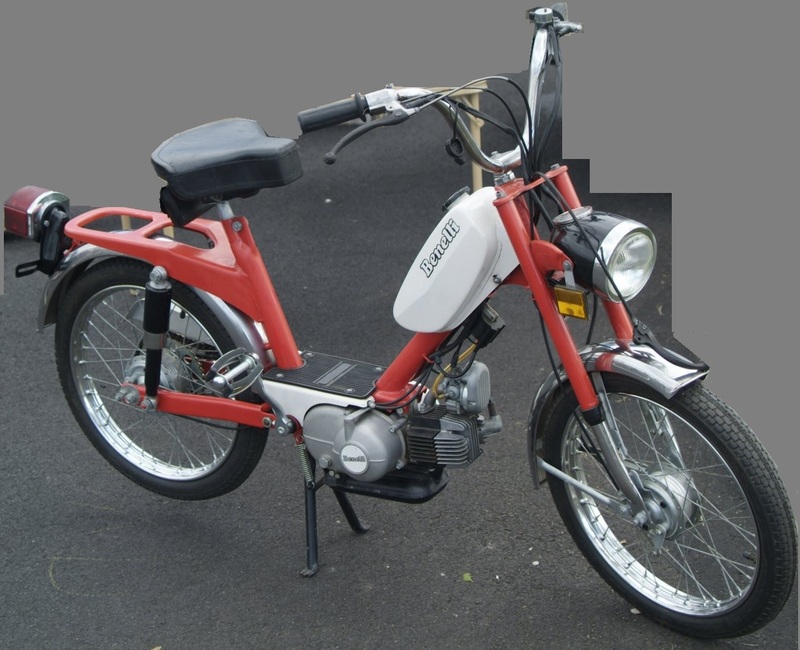 Cosmo Blazer components: CEV lights, switches, Domino controls, Grimeca wheels, 90mm brakes, Dellorto SHA 14/12 or 14/9 carburetor, CEV or Veglia speedometer with LH driver. 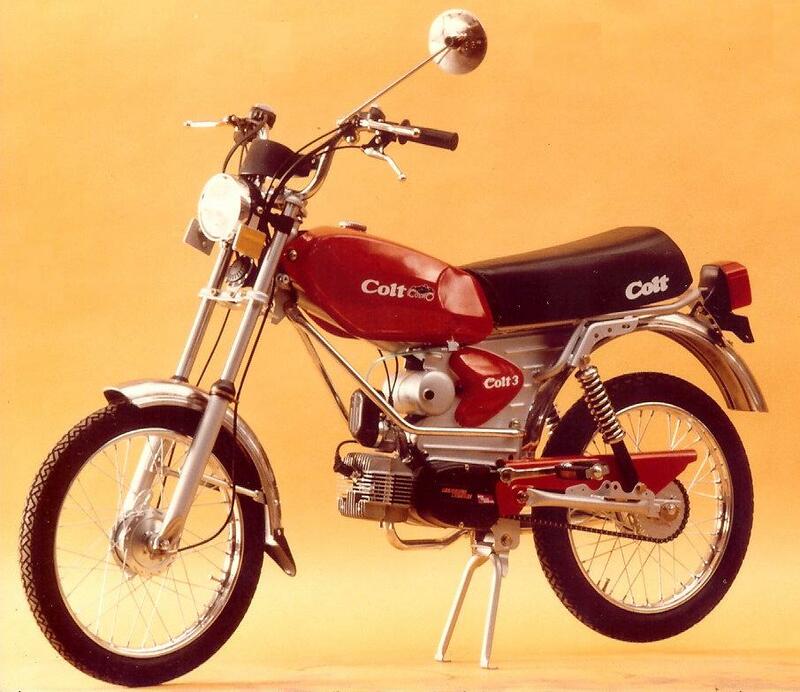 Cosmo Colt components: CEV lights, switches, Domino controls (Colt 1 and 5) or OSL controls (Colt 3 and 4), Grimeca wheels, 90mm brakes, Dellorto SHA 14/12 or 14/9 carburetor, CEV or Veglia speedometer with LH driver. 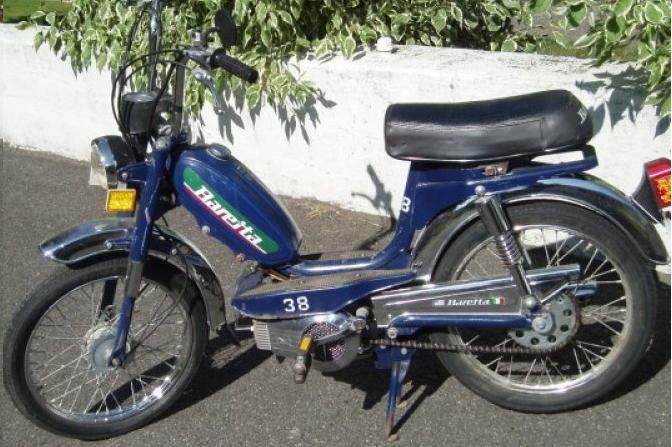 In Europe the Testi Amico was made and sold from about 1970 to 1980. 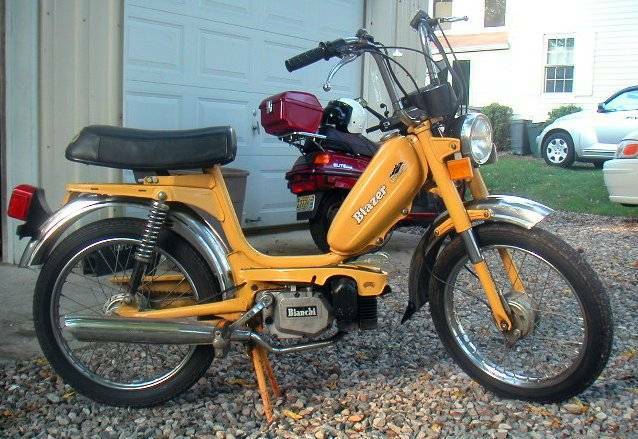 But US-model versions were made in about 1979-1980, and sold in the early 1980’s. They were imported and distributed by Cosmopolitan Motors in Pennsylvania. Cosmo Amico components: Minarelli V1 engine, PV levers/controls. CEV lights, round chrome switches. CEV speedometer with LH driver (small tire ratio?). Grimeca 10″ Razze Incrociate style mag wheels, Grimeca 90mm brakes, and 11mm axle parts. Dellorto SHA 14/12 carburetor parts. CEV 6932 magneto, CEV ignition parts, all single ended (universal) cables. You are currently browsing the archives for the Cosmo Parts category.